President Muhammadu Buhari oppressive and dictitive administration seems to be getting in the way of his family as well. After so much tension and terror been exhibited by his dictatorial government, his family seems to be getting the heat and pressure as well and not just that, his wife Aisha Buhari, has come out to publicly speak against his method of leadership. Even his daughter, Zaria Buhari was caught on Twitter saying, she's was disappointed and frustrated by the way her father was running Nigeria. This whole outburst from family members hasn't gone down well with president Buhari, most especially the interview Aisha Buhari granted with BBC Hausa didn't sink well with Buhari. Now, President Muhammadu Buhari has ordered the Economic and Financial Crime Commission (EFCC) to probe his wife, just because Mrs. Aisha criticized him publicly. Mrs. Buhari revealed that her husband's government has been hijacked by cabals who now run the affairs of the country. She made this outburst to alert Nigerians that those Buhari and herself do not know are the ones within the cabinet; not those who suffered to make sure Buhari won the 2015 election. Since Buhari does not know what is called 'freedom of speech', he still lives in the past; and as a result of his tyrannical leadership, any attempt to criticise his ills is tantamount to punishment no matter who is involved and that includes his wife. In response to the outburst of the wife, Buhari dropped a bombshell while on a visit to Germany- "my wife belongs to the kitchen, my sitting room and the other rooms". He dished out this callous statement thereby underestimating his wife's personality as the wife of the President of Nigeria. This was reported in various social media, some media even alleged that Buhari was set to divorce his wife over her outburst. 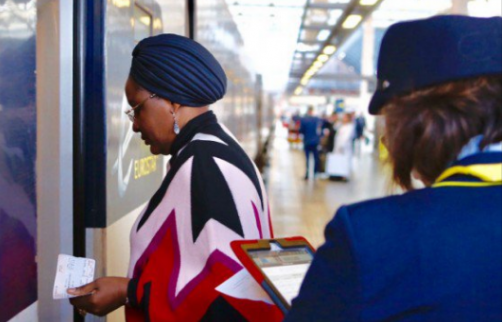 For fear of Buhari's treatment, Aisha Buhari fled to UK to seek for asylum. She is currently undergoing the process of seeking asylum secretly should anything happen to her. Also bear in mind that president Muhammadu Buhari has promised to make sure no one stands in his way, not even his own wife is free to speak out in his tyrannical government. This is the level of monocracy now going on in Nigeria. President Muhammadu Buhari is not spearing anyone who still believes in the Democratic process in Nigeria. Even the judiciary has no say, talk more of Aisha Buhari. Welcome to Nigeria under Dictator Muhammadu Buhari, a country with no rules of law. Aisha, we all hope, you are not joking. When you now tell the british government to release our leader NNAMDI KANU, you will become a great woman.